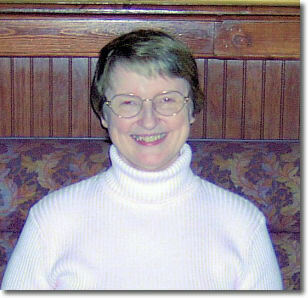 Susie was born a psychic and healer in 1943, and began formal studies and practice in 1957. After ten years of study, Susie was ordained a Spiritualist minister in 1966. About 1980 she became the president of her Spiritualist church, incorporated and headquartered in Columbus, Ohio, giving her the power to ordain other ministers. In 1995 Susie changed her Spiritualist church to an independent, nondenominational church and renamed it Healing Angels Ministry, making it dedicated to the practice of healing and to ministers who are healers. Since 1995 she has ordained more than 300 healing practitioners from all over the United States. In managing the Healing Angels Ministry, Susie provides four meetings and at least two big newsletters per year for the member ministers, as well as counseling and support for their ministerial work and healing practices. With a minister’s license, Susie officiates at weddings (with a State license), baptisms, and funerals; has a hospital badge allowing healing visits to patients outside of visiting hours; and has legal protection to touch for healing purposes and to do counseling without a psychologist’s license. Susie has taught Hatha Yoga, meditation, metaphysics, Master of Crystology classes (healing with the energy of crystals and stones, as taught by Melody), and all levels of Reiki (see Classes Offered); also, classes for ministers on how to officiate at weddings, baptisms and funerals. She is also certified in Touch for Health/emotional repatterning, reflexology, craniosacral therapy, tuning forks, DNA activations, pranic healing, as well as being trained and experienced in doing past-life regressions with healing therapy, psychic counseling/readings, and marriage and family counseling.